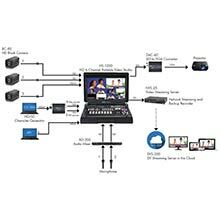 This is a simple, no fuss workflow that is easy to install for system integrators and easy to operate for the end users. 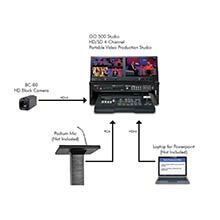 Portable video switching solution that can easily be transported throughout the campus for multi-camera lecture capture productions. 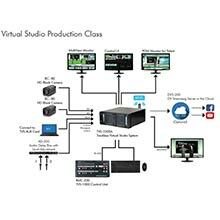 Elevate your morning announcements with a virtual set production that rival professional network shows. 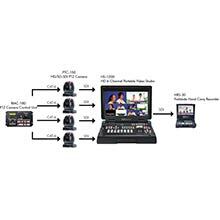 The portable solutions makes setting up a video recording quick and easy. Included PTZ cameras are all controllable from a single panel by one person.